Keep cold where you want it with Insul-Bright -- inside a soft lunch carrier. Save energy -- use Insul-Bright to make a water heater cover to keep heat in. 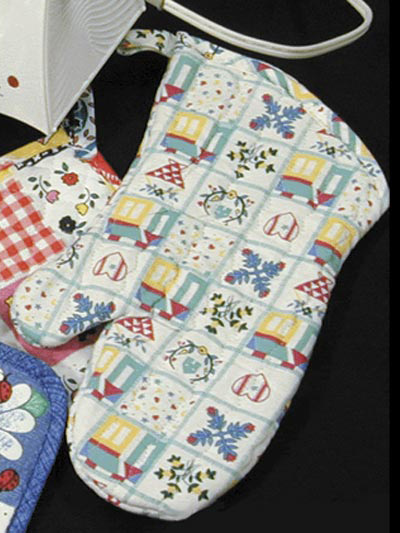 Make potholders to protect your hands or a stadium cushion to help keep warm during sports games. Poly fibers are needle punched through reflective metallized fabric that reflects hot or cold back to its source. Insul-Bright is breathable and won't break down when washed. Wanted this to make a carry bag for an iron, and have plenty left for hotpads and mug rugs! Be sure and use the right needle, sew slow and you may need to use a jean-a-mull jig thing. 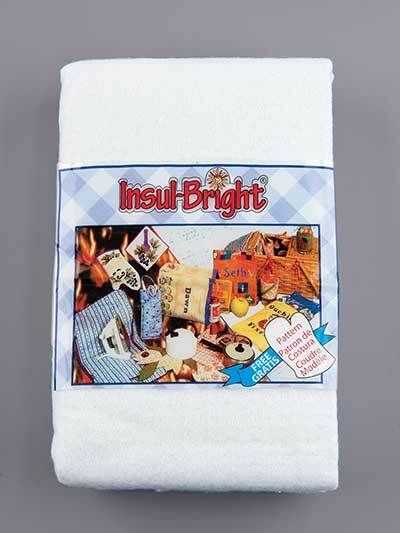 Have not tried to use potholder with Insul-Brite yet. Good stuff. Glad I got it. This works very well for potholders and casserole covers. It is very easy to work with.